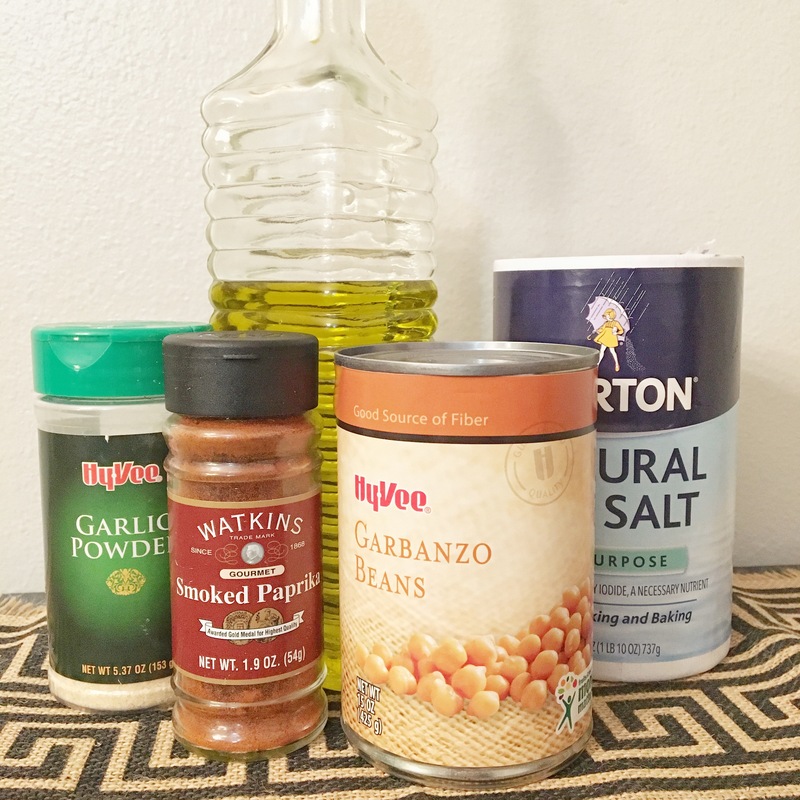 Roasted Garbanzo Beans | This RD Eats! You say chickpeas, I say garbanzo beans… We’re both right! I love a good salty, crunchy snack. Can anyone say potato chip? And I have found a new favorite. Garbanzo beans, when roasted, are crispy, crunchy, and hearty. This homemade version takes about 5 minutes of hands-on time. You’ll want to save your energy for all the snacking you will be doing later. This recipe is so simple and uses ingredients that I always have on hand. Seasonings (I like garlic powder and smoked paprika). Preheat oven to 375 degrees F. Rinse and drain the beans. Pour on a towel and thoroughly pat dry. Spread the beans onto a parchment-lined baking pan (foil can work in a pinch). Drizzle the beans with oil and thoroughly coat. Spread around the pan evenly, taking care not to over-crowd. Bake the beans for 20 minutes. Take out of the oven and let cool for 5-10 minutes. Stir and place back into the oven for an additional 20-25 minutes, or until golden brown and crispy. Remove from the oven and immediately sprinkle with salt, to taste, and seasonings. Best when allows to cool at room temperature. 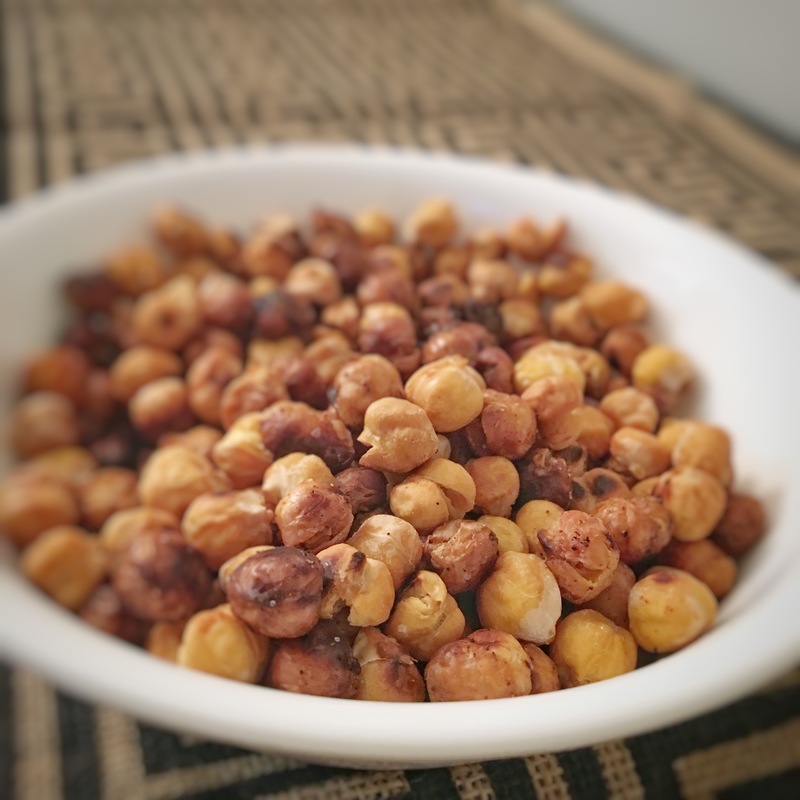 This entry was posted in Recipes and tagged chickpea, chickpeas, fiber, garbanzo beans, garbanzos, magical fruit, protein, snack. Bookmark the permalink.